Yet most are not aware of it. The Internet Movie Database has a listing for it here, but very little info is on it. Anyone heard of the Snodgrass Theatre? 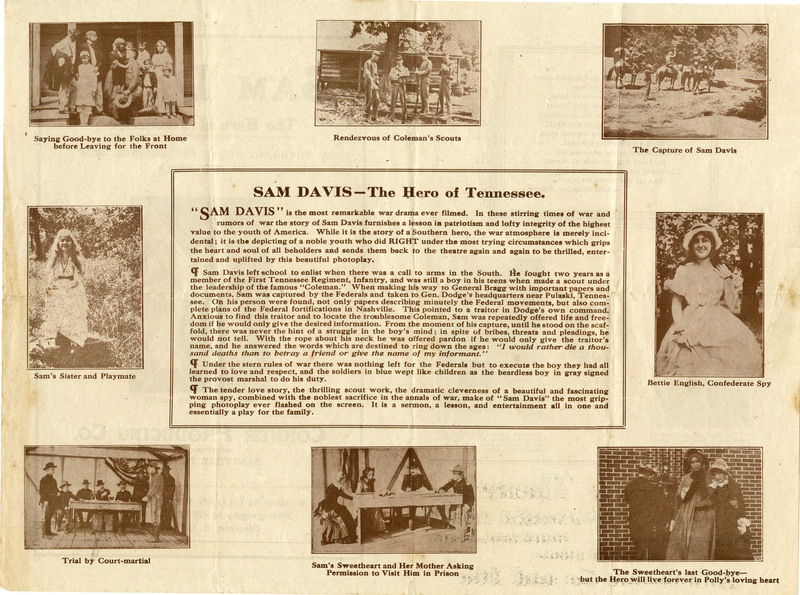 Made in Nashville, this silent era movie was filmed at Travelers Rest plantation and fairgrounds. 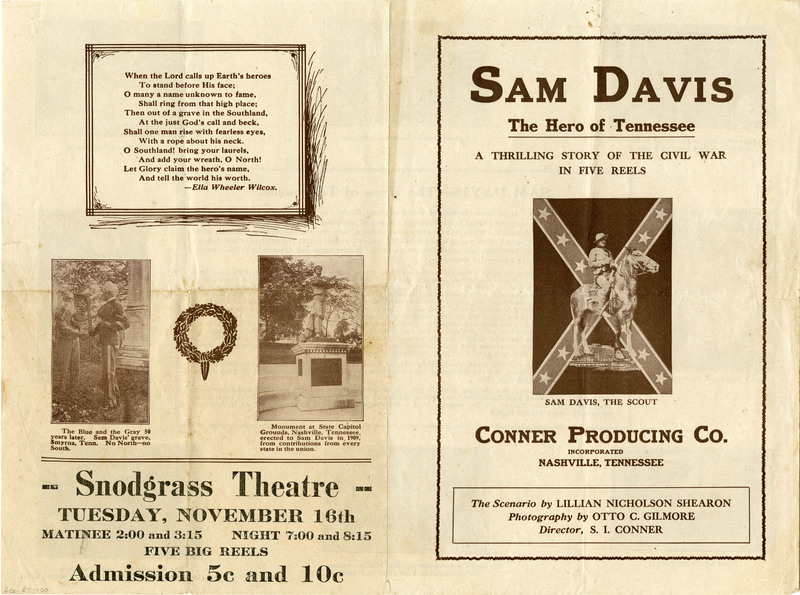 It was about Sam Davis the Confederate boy hero of Tennessee. An article appeared on May 30 1915 in the local paper about this movie and my relative Joshua Brown an actual member of the Coleman Scouts was in the movie. Also cast members included Lucille Wilson Sudekum and brother in law Clarence “Hap” Sudekum.